5 years free oil changes with every vehicle purchase. Following scheduled service intervals is key. At the Bessey Motor Sales Service Department, we have the staff, tools, and technology to keep your vehicle in top operation condition. The team at Bessey Motor Sales believes that customer service means making your vehicle buying experience an enjoyable one. 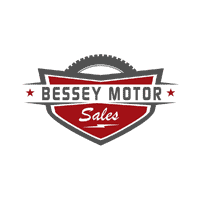 We’d like to thank you for considering Bessey Motor Sales for your next vehicle purchase or service. We go the extra mile to earn the business of people who find us on the web. Give us a try and see how well we perform! To obtain additional information, please visit one of the following pages or e-mail us if you have questions or special requests.